I'm so excited to be participating in my first blog swap. And even more excited to be sharing the day with Lisa! 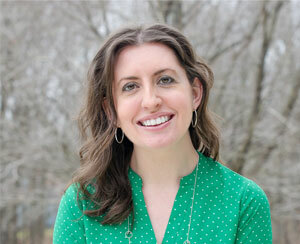 She has some amazing ideas on her blog that I know you'll love. 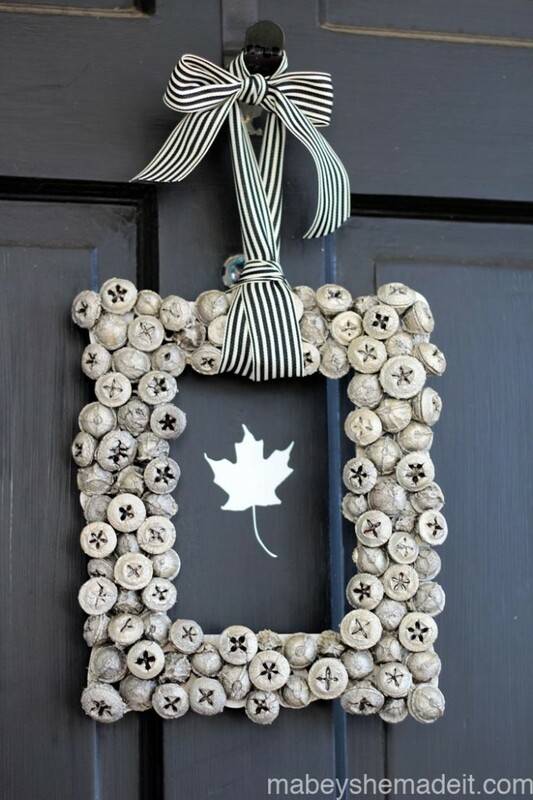 And I'm loving this fall project that she is sharing with you here today! So creative! So, enjoy her post, and be sure to take time today to visit her blog, Mabey She Made It, to see my fall transformation. I'll give you a hint....it involves fall, some decorative painting, and another estate sale treasure....Enjoy! Hello to all you Anderson + Grant readers! 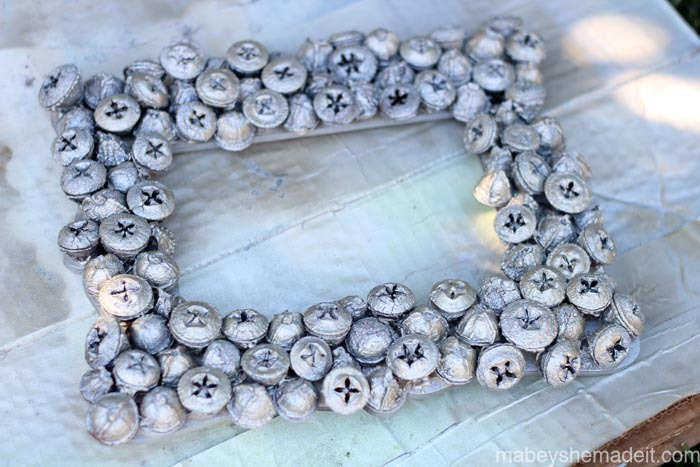 I'm Lisa Mabey and I blog at Mabey She Made It, a DIY crafting and sewing blog with lots of tutorials along the way. 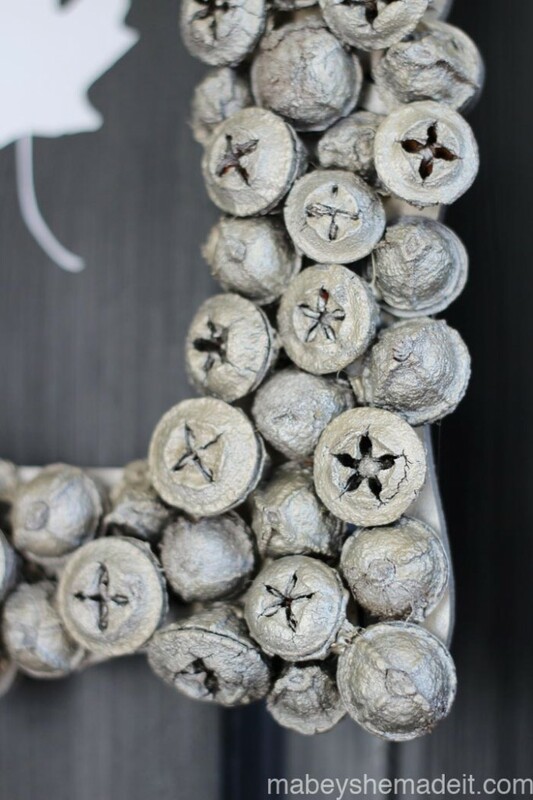 I'm so excited to be here with you --Jamie is fabulous, and I'm so glad she's let me come share my metallic acorn frame project with you today. 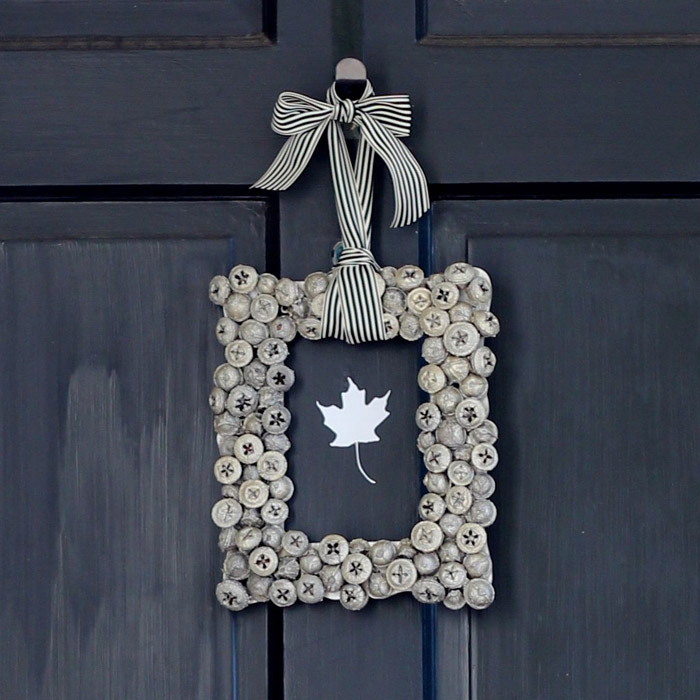 I'm especially glad I get to share an autumn-inspired project, because I love fall decorating. I don't decorate much for many holidays (like St. Patrick's Day, Valentines, etc.) but autumn holds a special place in my heart. I love the colors, the crisp air, the jacket weather, and the idea that fall showcases the beauty and splendor of aging. 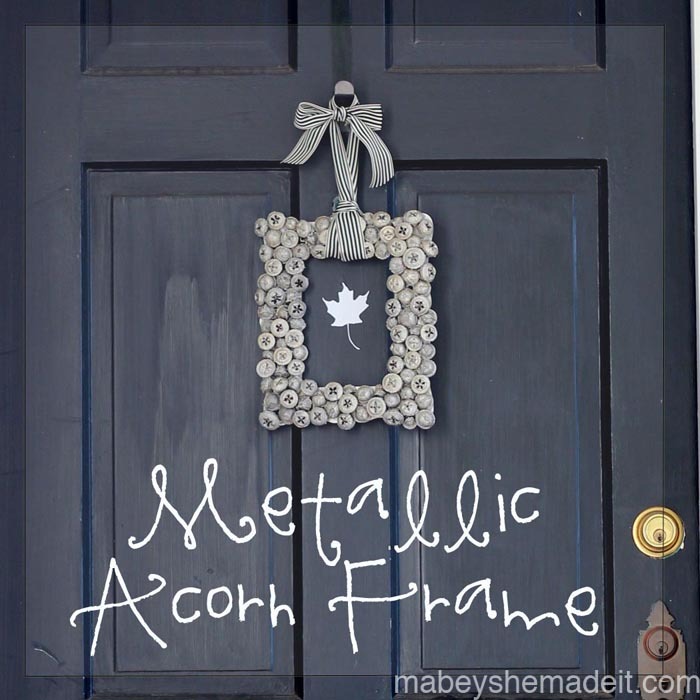 I typically like to add natural elements in my fall decorating because I think it lends authenticity and grace, and the Metallic Acorn Frame project I'm sharing today is no exception. A couple of weeks ago my family was walking on a trail, and I noticed these fabulous acorns all over. I'd never seen anything like them, so my girls and I started gathering lots of them until the stroller basket was full.My husband kept teasing that I looked like a squirrel, but I promise I never put any in my cheeks! 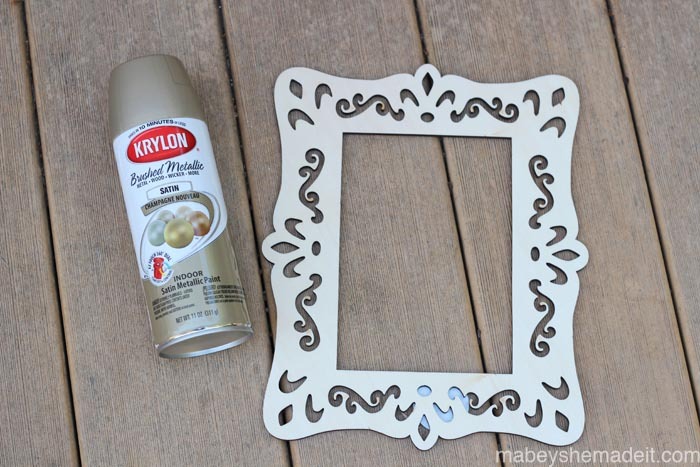 Starting on one corner, glue acorns to the frame using the hot glue. Try to let the acorns overlap the edge of the frame a little so you don't have a lot of frame showing. It's not going to be perfect, and that's good. Alternate the direction of the acorns (upside-down next to right-side-up) to fill in all the space and pack them in tightly. This also gives everything some stablilty and allows you to show the different sides of the acorns. You can see the alternating pattern in the photo below. Fill the entire frame, making sure to fill as many gaps as possible. Once you're done, remove all the (inevitable) hot glue strings before spraying. I actually loved the rustic feel of the frame at this point, and I was tempted to call it good, but I wanted the color to be a little more consistent so that the shape of the top was the focal point. 4. Spray several light coats of paint over the acorns making sure to paint any exposed frame, and let dry. 5. 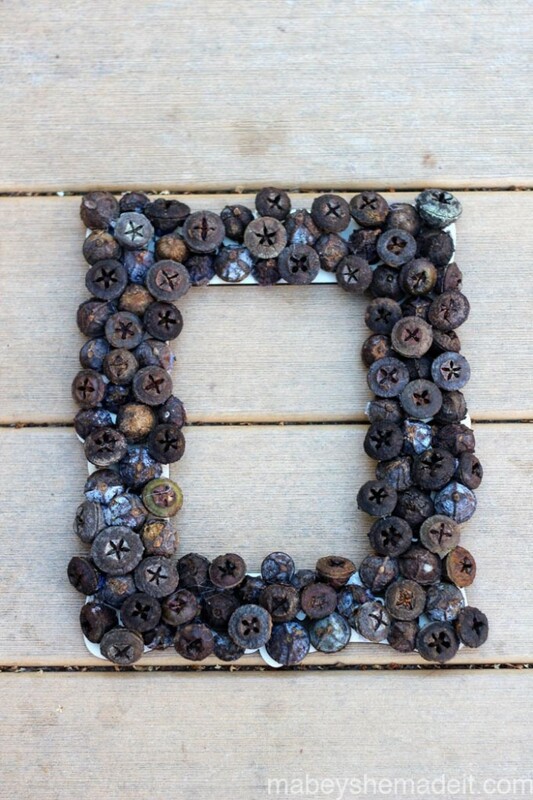 Tie ribbon around the frame, and hang it up! I love how this turned out. Since it's all one consistent color, the texture and shape of the acorns is the only focal point. The contrast between the natural supplies and the chic finish makes me happy. It feels rich and expensive, but it only cost me the price of the spray paint (at 40% off). 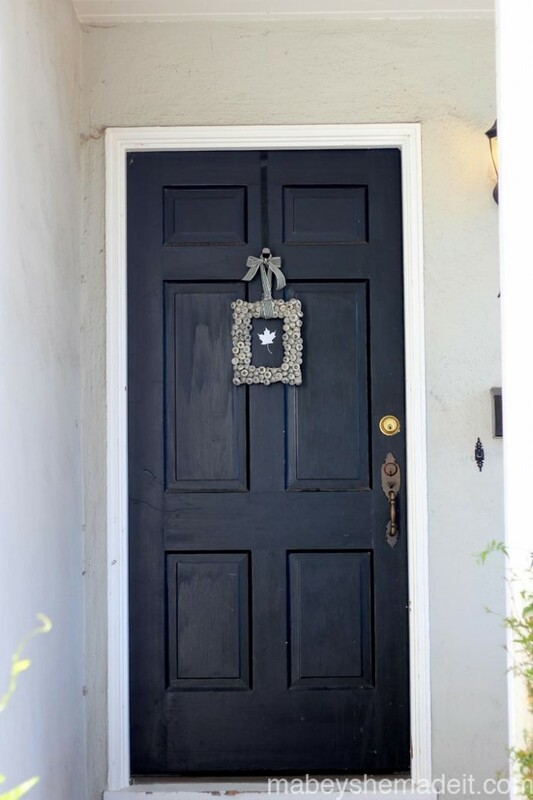 And against my black door, it stands out beautifully. Thanks again, Jamie, for letting me visit! And, if anyone wants to see more fun projects and ideas, don’t hesitate to visit me at Mabey She Made It. See you there!